The next stop on our Gili Tour was the smallest of the three, Gili Meno. It’s incredibly easy to hop along the archipelago and with a bit of haggling you can grab one of the many small ferries for 40,000-60,000 IRP (£2-3). If Gili T is the largest and loudest of the three Gili Meno is small and timid. 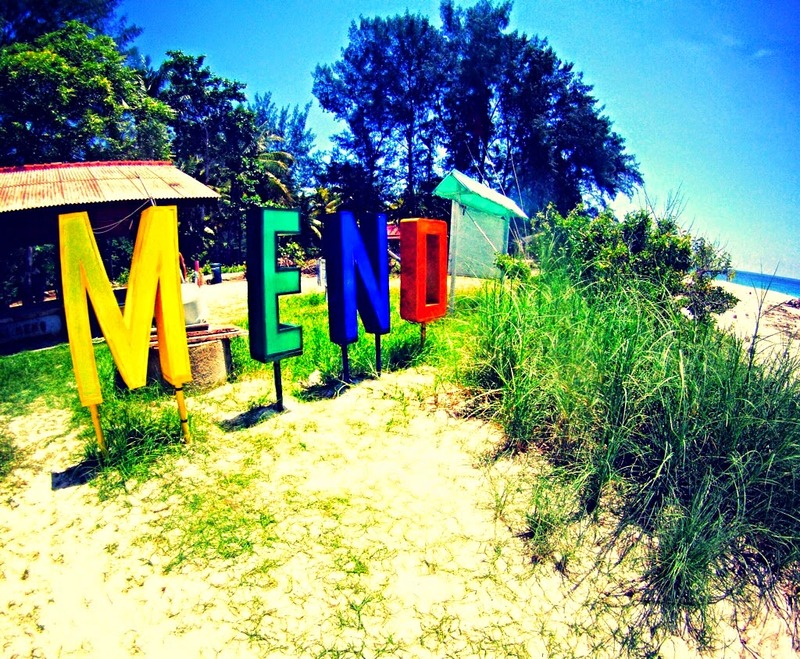 If the bar and clubs aren’t your thing then Meno maybe for you. Sure the island receives the least amount of visitors but that only adds to the islands appeal. The area around the pier is dotted with a few stores, homestays and the odd hotel with diving school but retains the feel of a tropical landscape. Accommodation is cheap although most places stick to solely twin or double bed bungalows but standards in some places may be a little below standard as our experience proved. After jumping off the ferry we checked two or three guesthouses close to the pier and opted for “Rusty Bungalows” (right next to the pier). Rusty’s place looked impressive with an adjacent restaurant, well-kept grounds and sturdy bungalows and even though it was a little more expensive than its neighbours we thought we ought to treat ourselves. After chilling out for an hour I discovered I had around 50 bites on my back. I checked the mattress…..nothing. I checked the pillow case…….nothing. 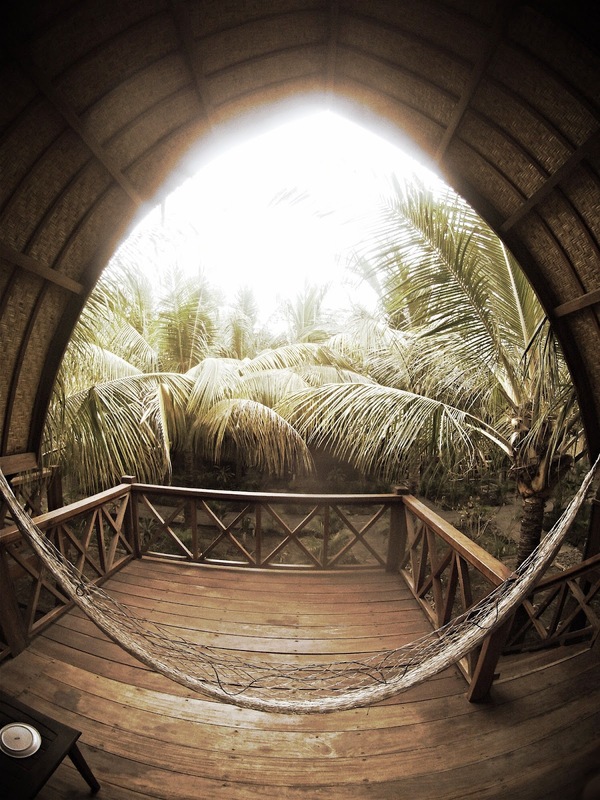 Then I checked the mosquito net which was hanging around the back of the head board and the sight was astonishing. The whole netting was wriggling with hundreds of bed bugs. Luckily we hadn’t yet unpacked or stayed the night (otherwise we may have both looked like the elephant man) and after a little arguing with the staff they moved us to another bungalow (which we checked thoroughly this time) as we didn’t want to lose our fee. Needless to say after one night we were out of there and moved to another homestay down the road. “Tunai Cottages” as its known is around 800 meters inland from the pier and is run by a nice Indonesian couple. We paid 200,000 per night (£10) with breakfast, twin room, A/C and en-suite bathroom & shower which when split between the two of us wasn’t bad at all. As with Gili T we started off with a tour around the island. There are a few bikes for hire on Meno although there’s no real point forking out the cash as a walk around the coastal track takes around an hour and if you want to get from one side to the other quickly there are plenty of roads dissecting the islands interior. 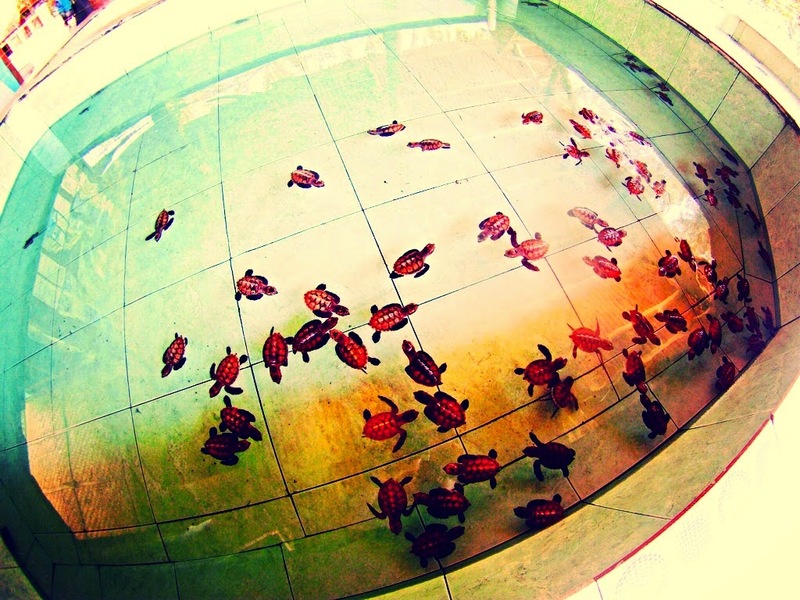 The islands small turtle sanctuary is located a few hundred metres south of the pier and the project is happy to take small donations from visitors looking to watch the young turtles motoring around one of four paddling pools. Although Meno has the same wildlife on offer as its neighbours it seems that due to the greater expanses of natural habitat visitors have a much better chance of seeing some fauna. The western side of the island is dominated by a large salt water lake which we soon discovered is a great place to see clusters of the giant wood spider (Nephila Maculata). These arachnids are common across Asia and the females reach a size of 20cm in length (the males are much smaller at 6-7mm). Although harmless its still quite unnerving walking around the maze of large webs (up to 2m diameter) which are rumoured to have silk strong enough to catch small birds. Feeling a little bit arachnophobic we quickly moved on towards the north-west side of the island, hired a snorkel set for 20,000 IRP (£1) for the day and settled in at “Balenta Restaurant & Bungalows” for some light lunch. This cheap eatery is a great spot to hit the reef from and if you grab some grub the staff will look after your possessions while you snorkel to your heart’s content. 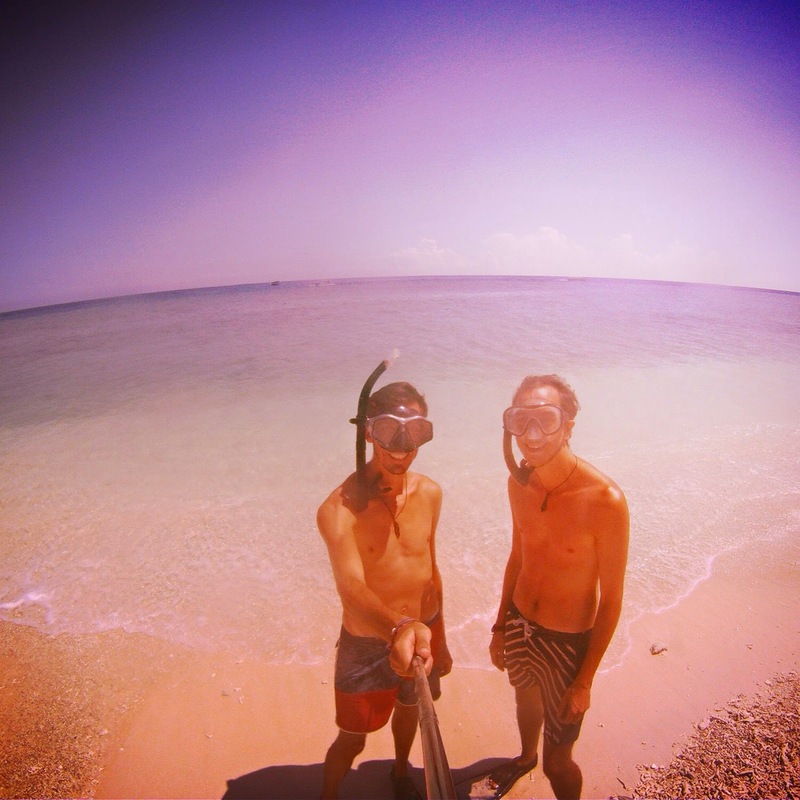 This was our first ever time snorkelling and it turned out to be a real highlight of Indonesia. After passing beyond the quiet, lifeless remnants of the bleached reef close to the shore you quickly become immersed in one of the world’s most diverse ecosystems. I’m no expert of tropical fish but I can safely say we saw every character in Finding Nemo, including our first sighting of a turtle in its natural habitat. I’m sure if we had the funds to do our scuba certificates we could have seen sharks and rays but I think for the snorkelers a turtle is the cherry on top. When they come into view from the immense void of the open ocean the feelings magical. 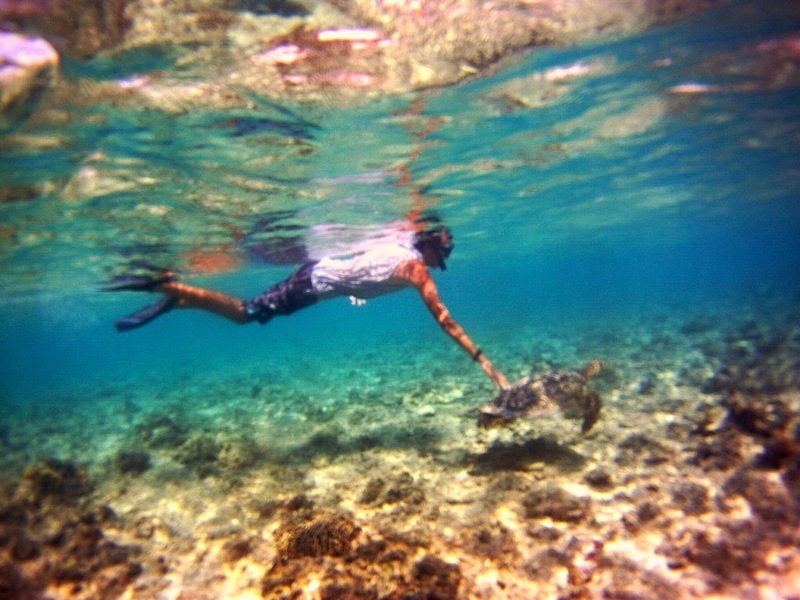 We snorkelled on three occasions during our stay on Meno and saw turtles every day. The current is calm and the visibility top notch and if you hire a snorkel you can avoid the large groups of snorkelling day trippers from the neighbouring islands. 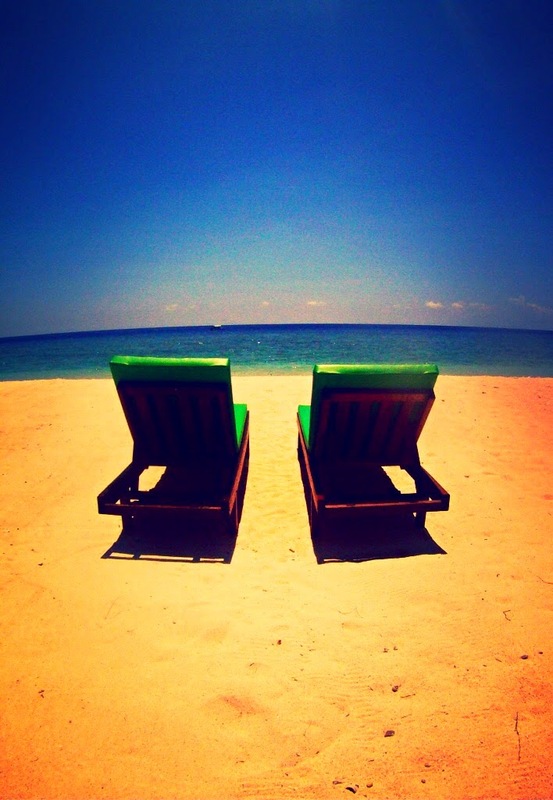 If you’re looking for nightlife you may want to try one of the neighbouring Gili’s. Meno is a quiet as the grave in the evenings and few bars & restaurants stay open past 11pm, however as we were planning on spending our birthday on Gili Air we put up with a little bit of boredom with the promise of the looming full moon party.